Many forest owners want to reap a diverse harvest from their land: ecological, social, and financial benefits, all from the same forest. But how to achieve these good intentions? Fostering a future grove of old-growth or restoring an oak woodland may mean thinning out “extra” trees through commercial harvest. Creating a home for pileated woodpeckers and other wildlife requires leaving many of the largest trees and snags standing instead of removing them for firewood. Earning periodic income from the forest – be it timber or floral greens – starts with an initial investment in long-range planning and infrastructure to optimize harvest options. Forest stewardship requires landowners to understand both the biological condition of the land and their possible management options. NNRG and Ecotrust developed tools to help forest owners take stock of their land and get a sense of how management scenarios would play out on the ground. These tools don’t tell landowners what they ought to do. Instead, by using these tools, landowners can anticipate the likely outcomes of different possible management directions. If the diversity of plants and animals in the forest is one of your goals, you might be interested in NNRG’s Forest Biodiversity Assessment. 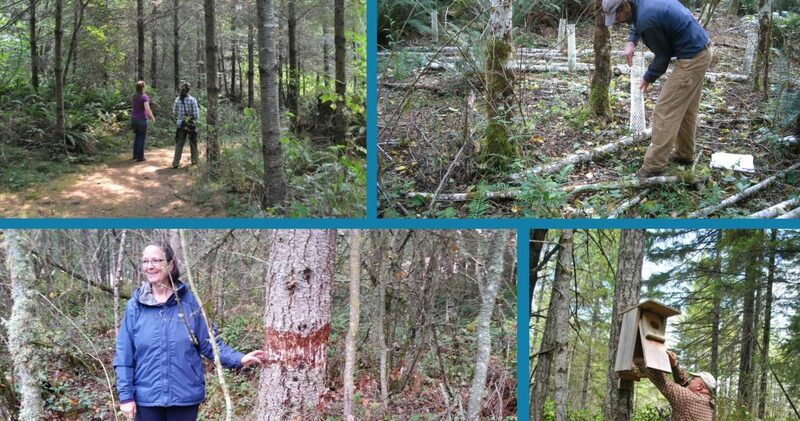 It’s an easy-to-use tool that guides landowners as they observe and identify the components, structures and processes that make forests healthy and productive. It can help landowners recognize their forest’s assets, what aspects are missing, and what they can do to increase biodiversity. Forest owners do not need a deep knowledge of plant and wildlife species or forest ecology to conduct an assessment, just time to walk their woods and make careful observations. Ecotrust developed Forest Planner, an online program for landowners to plan and experiment with potential management scenarios. Forest Planner helps you visualize alternative management options and gives you immediate feedback on how decisions might pay off in terms of timber harvests and financial returns. 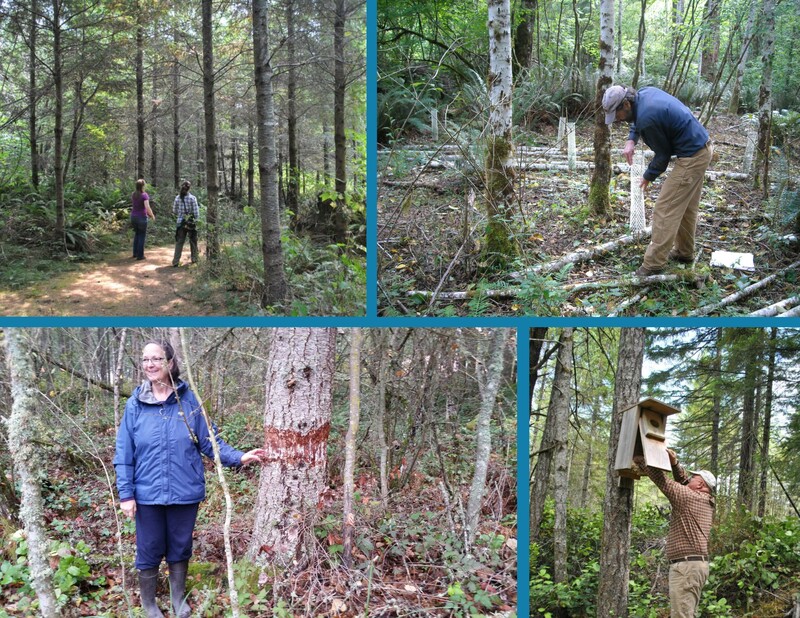 Get inspired by reading about the experiences of other forest owners and how they are improving wildlife habitat, riparian buffers, timber productivity, and the overall health of their land. Taking care to thin and grow the forest – The Hansons thinned their young, 30-year old Douglas-fir forest for the first time to make room for other species and optimize timber value in future commercial thinning harvests. A view of the trees – Phil and his family created a home in the woods to enjoy life among the trees. They recently thinned their 40-year old forest to address root rot and diversify what grows in the woods. Stewarding the family forest – Three generations steward Clyde Tree Farm on the shores of Hood Canal. The forest is an important family recreation destination, wildlife oasis, and source of periodic income from commercial thinnings. Learning the ways of their dream forest – The Lemkuhls envisioned stewarding a wild forest akin to the old-growth groves of Mount Rainier. To grow a forest as rich and diverse as those in the park, they realized they needed to remove some of the trees. Wooded retreat at Two Frog Bog – Elona stewards 20 acres of woodland and hosts an Airbnb. Her forest is a retreat for wildlife and visitors alike. Giving back to forest, creek, and community at Camp Myrtlewood – This camp on the southern Oregon Coast draws people from neighboring towns and throughout the world to care for the forest and improve stream habitat. We’ve introduced landowners and natural resource professionals to these tools through workshops and one-on-one site visits across western Oregon and Washington. 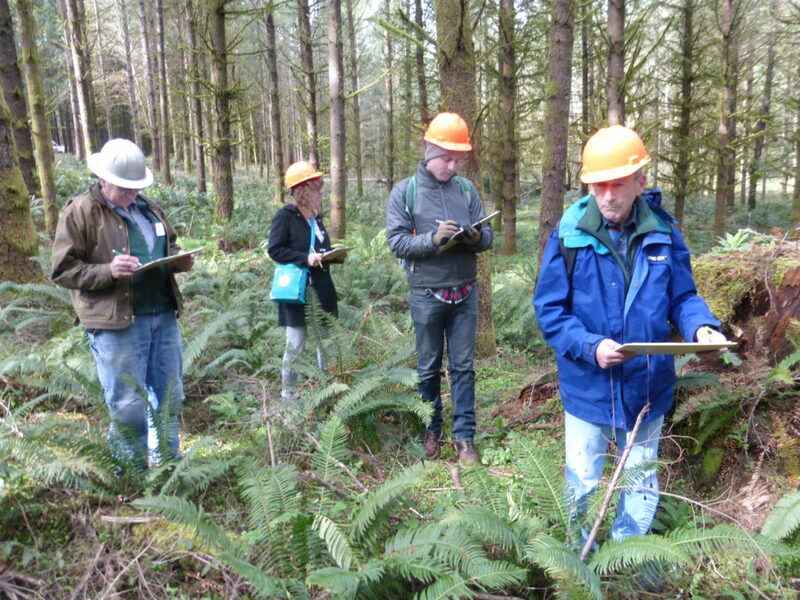 Woodland owners conduct a forest biodiversity assessment during the field portion of a workshop. Western Sustainable Agriculture and Education supported the outreach and training provided through this project with grant #OW14-003 – Accelerating adoption of sustainable practices for small forest producers. NNRG and Ecotrust thank our partners for their assistance in developing the Forest Biodiversity Assessment and Forest Planner. 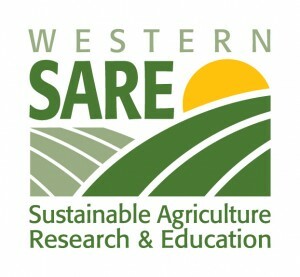 Special acknowledgement goes to USDA’s Natural Resources Conservation Service and its Conservation Innovation Grant program, the Bullitt Foundation, the M. J. Murdock Charitable Trust, the Weyerhaeuser Family Foundation, the Forest Stewardship Council-US, and the World Wildlife Fund-Sweden.